According to the public, Pandora is still higher than Apple even after Apple purchased Beats Electronics for about $3 billion. Apple is trying to boost its music area by taking as much it can get from Beats, which has been a profitable music organization. However, even this act may not help Apple to get on the top of the list as far as the music niche is concerned. Pandora is a fine music business, having countless paying subscribers as compared to Beats. Pandora has about 76 million paying subscribers while Beats has only 200,000 in its pockets. When compared, Pandora is obviously on the top while Beats is only comparable with iTunes which is Apple’s own music service which puts on even a lower standard of this Apple deal. The public view may not change even after Apple’s huge investment as it simply lacks the musical touch nor it has proper seeds sown for the musical industry which it has to work upon. The result of this deal is still undefined as it could turn out to be no more than a failure for Apple who before this investment has never looked upon improving its music touch since Steve Job’s death. Apple’s music industry would flourish if the company decides to rename the iTunes radio or by increasing the quality of music and improving or re-branding the iTunes store. There would be a dramatic change in costumer policy if the company takes such actions which would bring much of its lost costumers. This could be a threat to Pandora only if the quality changes as re-branding would not help that much without the change in its service quality which people have been ignoring for quite a long time. Another thing Apple can do is after re-branding it should start offering the new store through android privately, Amazon, Google and other useful sources to increase its costumer profile. It would not overthrow Pandora because it has a superior advantage of having the best music service in the world and the number of people associated with it. Even if Apple attracts them most of them will personally like to go on with Pandora. 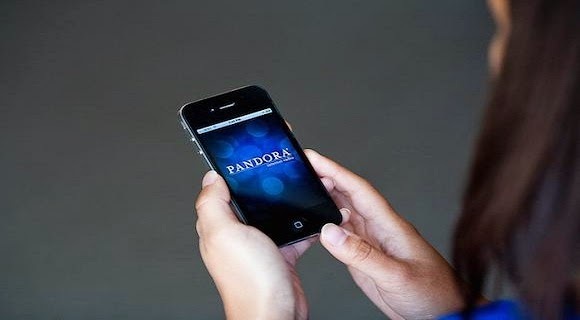 Another advantage can be the platform which Pandora has in devices across the world is unbeatable. However if such situation comes along of Apple’s music industry boost it would still be below the music industry giant and would be competitive and s according to the expected stats of stock share in the next year Pandora will still dominate Apple. Apple’s acquisition of Beats might put a little effect on Pandora to increase its stability and to move much higher than its current position and also might put effect on Pandora’s relationship with companies like Google and Yahoo. According to some reliable sources it will become the world’s 4th largest advertiser behind the top ones including Google, Facebook and Twitter. As much as it is expected Pandora will modernize and will surely look for improvement despite its competitors. As it is targeted, Pandora might just remain on top this year too.